대단히 감사합니다! bashkortostan에 오랫동안 갔다 그러나 갔다 그러나 신에게 감사했다! 모든 것이 사진과 같습니다! Thank you very much! Although to bashkortostan for a long time went but came thank god! everything is as in the photo! 친애하는 고객, 당신이이 인형에 만족한다는 것을 알게 된 것을 정말로 기뻐했습니다. 우리와 함께 사진을 보내 주셔서 감사합니다. 당신이 그것을 좋아한다면, 당신은 친구들과 좋은 경험을 공유 할 수 있습니다. Thatd는 정말로 당신의 멋지다! 곧 방문을 환영합니다! 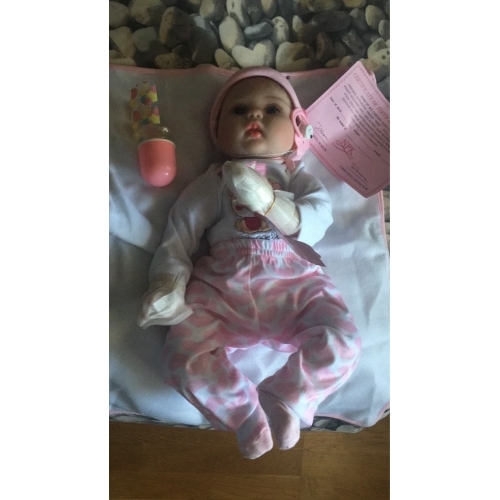 Dear Customer, Were truly gratified to know that you are satisfied with this doll. Thanks a lot for sending your picture with us. If you like it, you could share your good experience with your friends. Thatd be really nice of you! 매우 아름답고 패킹이 안정적으로 보이며 그로 인해 악화 될 수 있습니다. 소포가 빨리 왔어. Very beautiful, and the packing seems reliably, can deteriorate in the way. The parcel came quickly. 친애하는 고객. 귀하의 의견에 감사 드리며 LightInTheBox를 선택해 주셔서 감사합니다. 나는 당신이 당신의 구매를 즐겁게 해 주어서 행복합니다, 당신이 당신의 사회적인 접촉과 당신의 좋은 의견을 나눌 수 있기를 바랍니다. 나는 진실로 당신에게 감사 할 것입니다. 좋은 하루 되세요! Dear Customer. Thanks for your feedback and for choosing LightInTheBox. 아기가 아주 좋아요. obovi와 upokovka가 옷을 입지 않고서 만. 날아 다니는 가방에. The baby girl is very nice. only without obovi and upokovka is not wearing clothes. just in the bag flying and all.